How do I find a course on Springest? 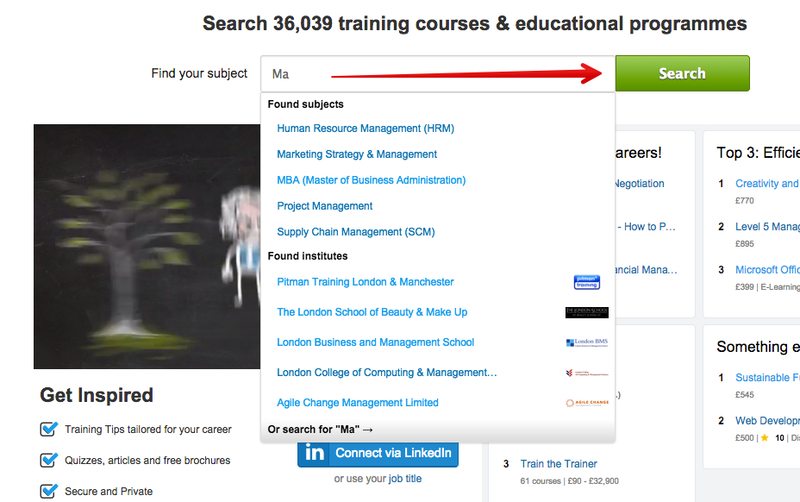 The easiest way to find an education programme and a training course is by using the search bar on the Springest.co.uk homepage. Enter a search term and you get automatic suggestions for course subjects. When you click you get a good overview of the courses within this topic.